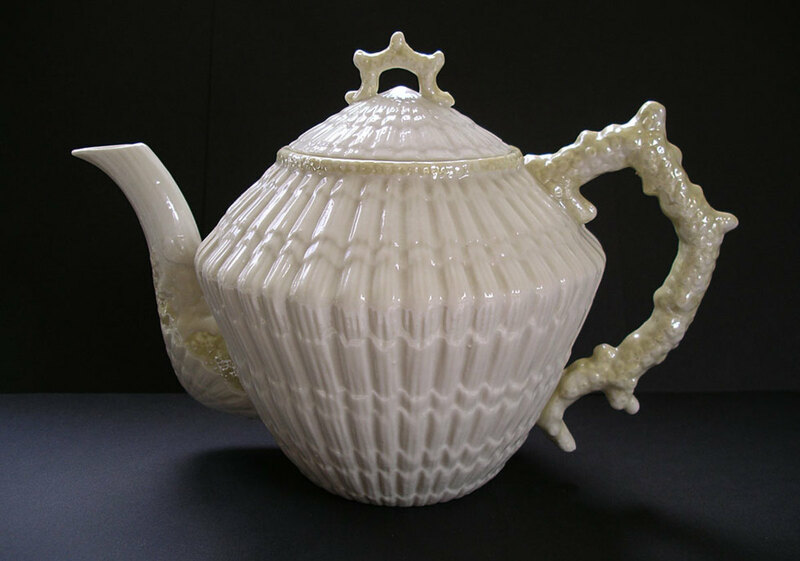 Belleek Irish porcelain is one of the most collectible porcelain in the world. Belleek Porcelain is one of the most popular collectible porcelains to this day. History takes Belleek back to 1857 when the company opened its doors for business, in the village of Belleek, Ireland. From figurines to fine china, Belleek denotes fine quality, when it comes to Irish porcelain. 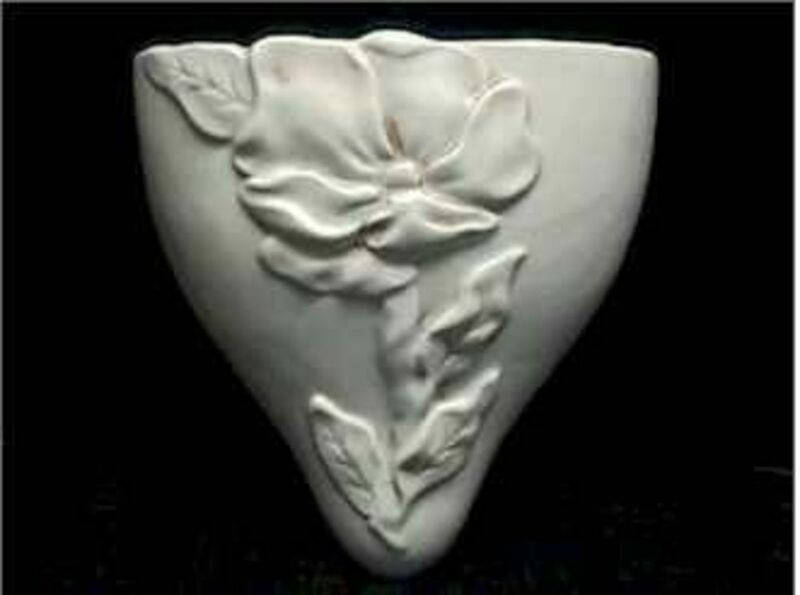 Belleek popularity may be due to its very fine thin almost transparent feel and look. These qualities are hard to reproduce in fakes. However, there is an abundance of fake Belleek pieces out there. When it comes to the mark to hallmark, unfortunately, the hallmarks are being well fake. In regard to the mark or hallmark, with some variation, the Irish wolfhound, the shamrock, the Celtic tower, and the harp have always been present in the design. 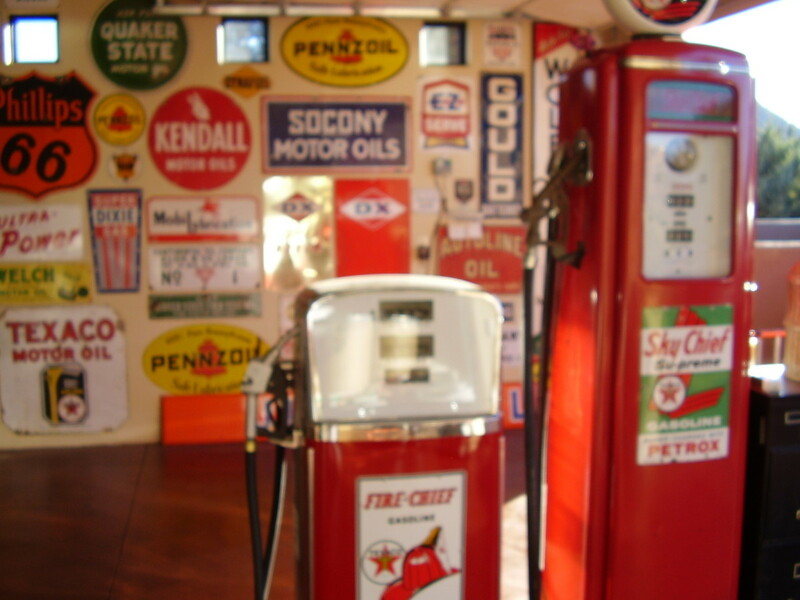 The first company marks were black in color and used from 1863 - 1946. A series of green marks were then used from 1946 until the seventh mark, which was introduced in 1980. This mark being gold and brown. In 1992 the gold /brown mark was replaced by a blue mark, which is still being used today. "It's possible to date an example of Belleek to within twenty or thirty years of crafting by its pattern and hallmark/mark. Pieces with the earlier hallmark often bring prices nearly triple of that of the more current made pieces. This naturally makes the older pieces very hard to come by on the open market. 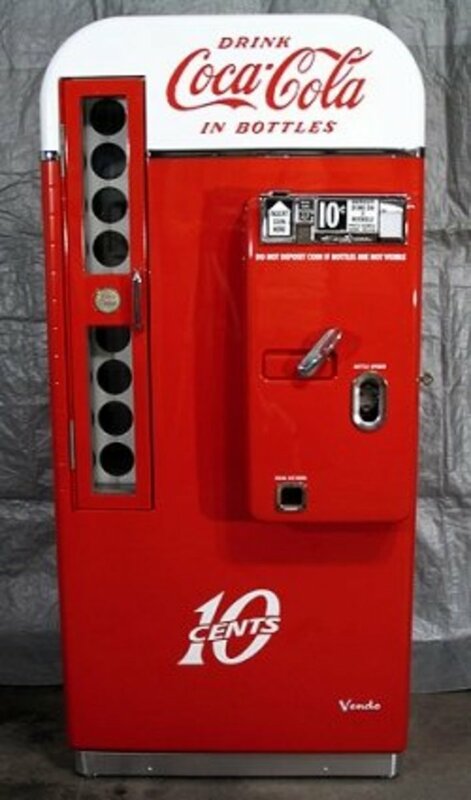 Most collectors choose to hold on to the very old pieces or sell them at outrageous prices. When buying old Belleek, look for real quality in the porcelain, it should be thin, and very translucent. Fine and without flaw. The glaze should be almost undetectable, shiny and smooth, without common glaze errors. Such as over thickness, drips, and off-color. The glaze on Belleek pieces should be the creamy ivory color with a pearl-like translucent luster. The decoration on a piece of Belleek should be well defined, well-defined lines, with colors that are true to Belleeks standards. Wonderful Belleek pieces such as baskets, figurines, tableware, and vases are still being artfully crafted produced today. Do you collect Belleek porcelain? 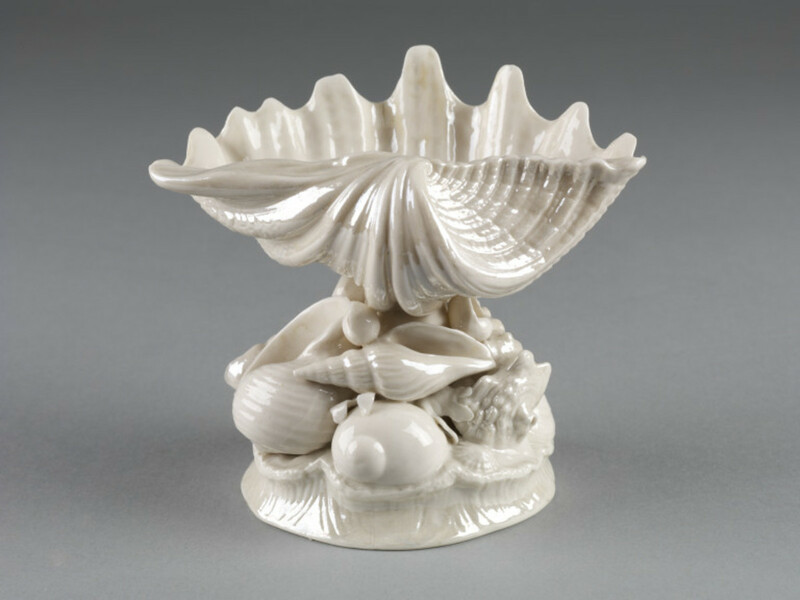 Belleek Porcelain is one of the most popular collected porcelains today. It has a long and interesting history, that goes back to 1857. Pieces of Belleek with an earlier mark are as a rule valued at five times more valuable than the more current pieces that are being made today. So naturally, a collector covet the older pieces of Belleek porcelain. Unfortunately, this is one of the reasons one can't find antique Belleek items in the marketplace. Belleek porcelain is of fine quality. 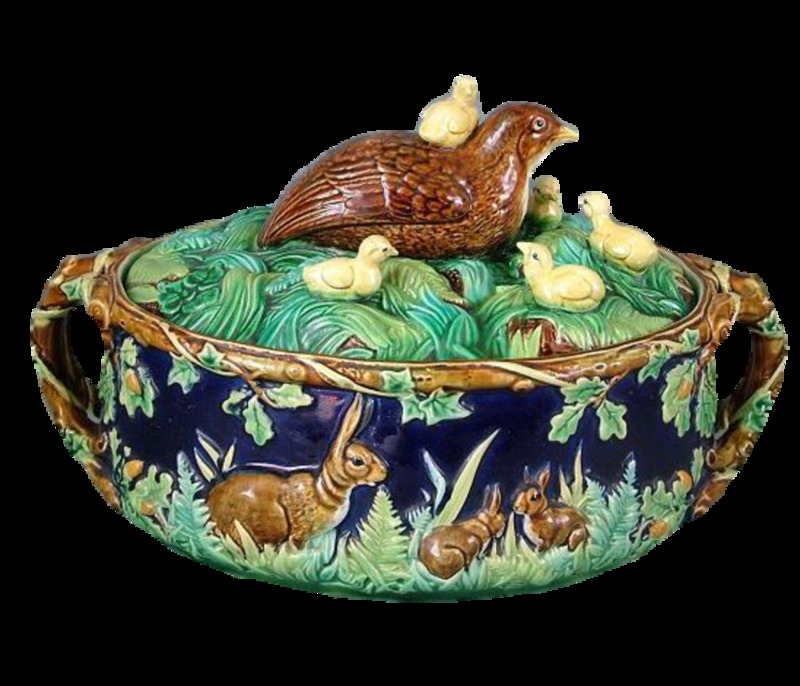 When it comes to Irish porcelain. Belleeks popularity is due to its very fine thin almost transparent feel, and look. These fine qualities are hard to reproduce, and this is one reason that fakes are hard to produce. 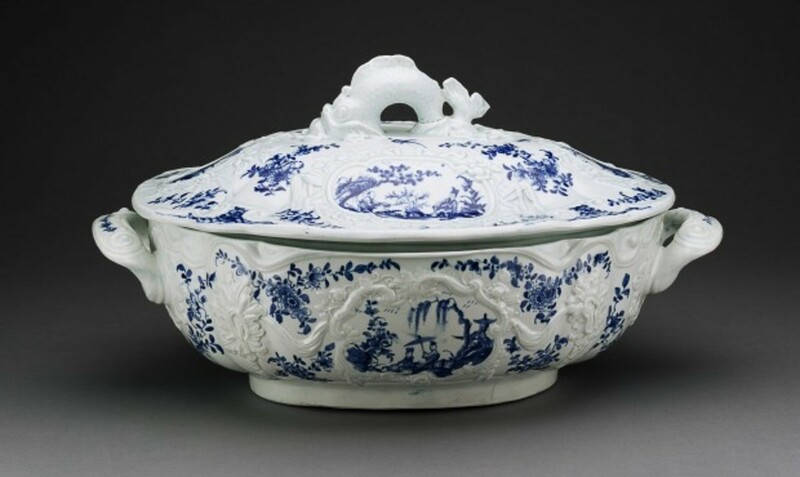 However, this does not stop porcelain counterfeiters from making reproductions of Belleek items. A few good things to look for when choosing an antique piece of Belleek, consider the quality of the actual porcelain. The porcelain should be very fine and thin, with a translucent look. The porcelain should be without flaw or grazing. The glaze should be undetectable, thin, shiny, and smooth. If you detect any form of over thickness, drips or off-color, the piece most likely is a fake. 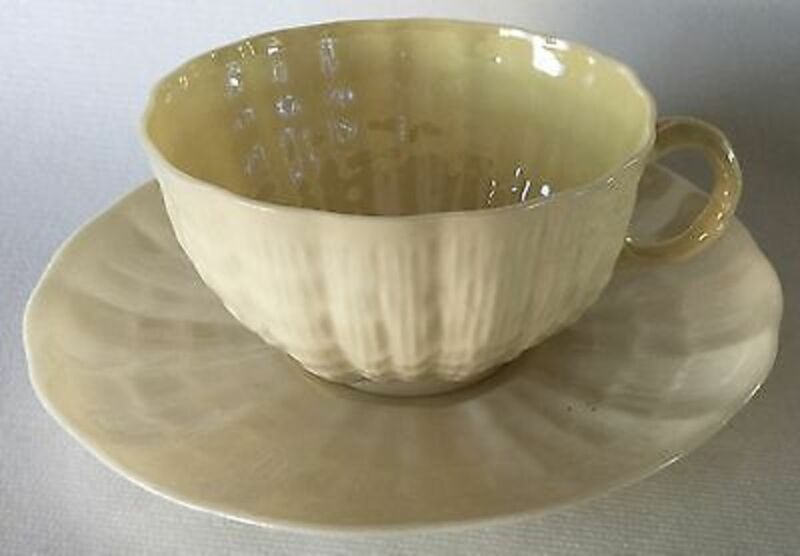 The glaze should be a creamy ivory color, with pearl-like translucent luster. If the piece has a decoration, the decoration must be well defined. With well-defined lines, and colors that are true to Belleeks high standards. Let me share my favorite Belleek reference book. " Belleek: The Complete Collector's Guide And Illustrated Reference" written by Richard K. Degenhardt. This book would be most valuable to a Belleek collector The author has done a wonderful job covering them with the company's long history." Degenhardt" has provided the reader with a good description of the very process of how Belleek porcelain is made, along with how the many Belleek patterns got their names. This book offers over 2000 superb photos, showing many of Belleek finest pieces. 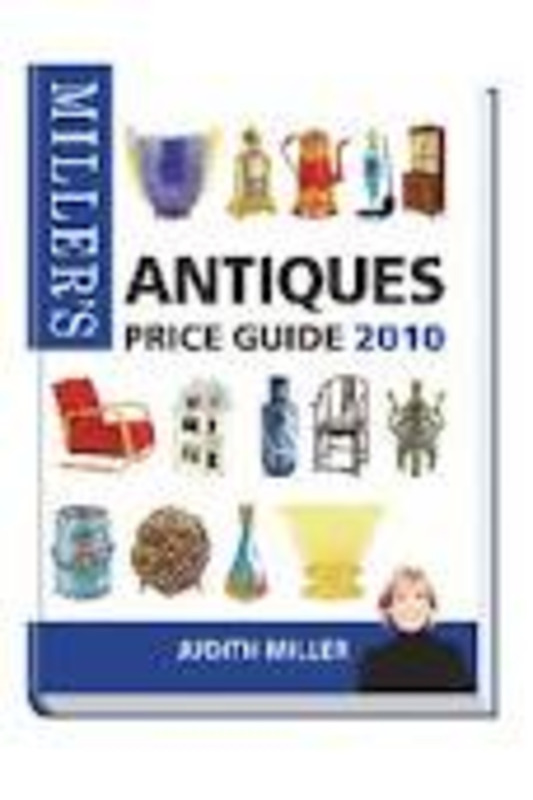 It has a good price value guide, that offers a collector an idea on purchase or sale piece. There is comprehensive information on various Belleek mark/hallmarks that discuss their meanings, along with clear photos of hallmarks. This book is a must for anyone that collects Belleek. I love antique pottery and have collected many types of pottery over my lifetime. I enjoy antiquing and there is nothing I like better than to find a wonderful old piece of pottery for my growing collection. Identifying an old Pottery mark or Hallmark can at the time be very challenging Collecting pottery has been an interested pastime for me. 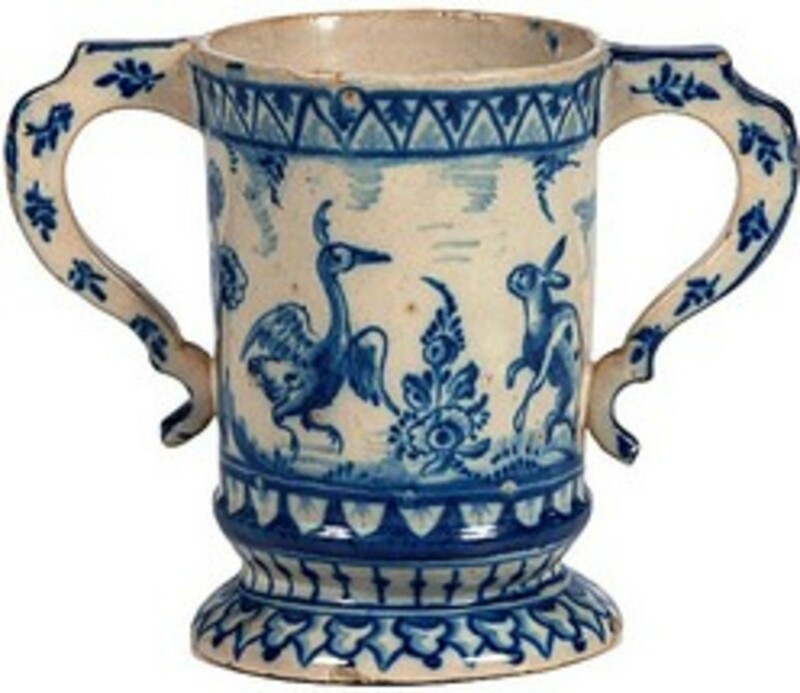 There are so many very old pottery and porcelain companies, companies from literally all over the world. Being a pottery collector I can tell you It's often very hard to identify a very old piece of pottery. Some of the very oldest pottery companies changed their hallmarks frequently, and the mark could vary quite a bit. The tedious process of identifying a piece of pottery can be frustrating. Over the years I have found several good books available on how to Identify a pottery mark/hallmark. However, as a rule, I find when I am stumped by a certain hallmark I find myself reaching for one of my favorite pottery mark/hallmark reference books. The title of this book is, "Kovels' New Dictionary Of Marks - Pottery, And Porcelain". I must admit I have a large collection of pottery identification books, but the Kovels" book is my favorite. The book is easy to use, and the marks are of a good size and presented very clearly. They give a good description of information on any given mark. Which includes; Location of the company; the color of the mark; type of mark application; years the given mark was used; what the company produced. The authors "Ralph & Terry Kovel" are well respected for their knowledge of antiques and collectibles and have written numerous books on the subject. Belleek porcelain is well collected, and can still be found in Antique Shops. Although it is becoming harder to find a real antique piece of Belleek. A word to the wise is careful when buying pieces online, without the benefit of seeing the actual piece. 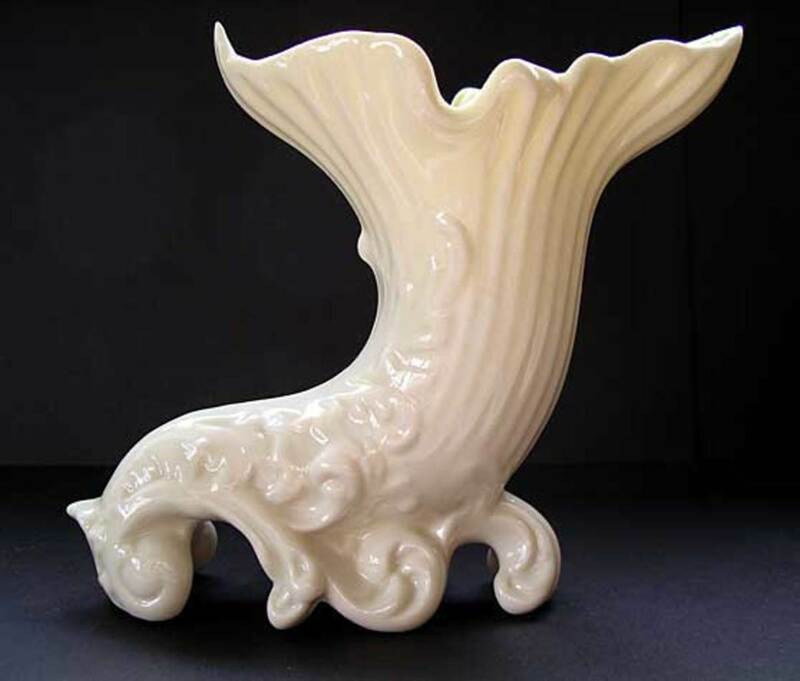 Unfortunately, Belleek is one of the most popular counterfeited porcelains. It is also wise to know your dealers, on or off the line. Can You Pick The Phony Belleek Piece? You might be surprised how hard it is to spot a fake. Belleek fakes are all over the marketplace. Not only in Flea Markets as you might think, but also in the fine Antique Shops. So--- Is the fake photo A or Photo B? No Way Its B... isn't it? Actually, it's B.. Cups and saucers are items that are widely copied. The pieces are done so well they are very hard to spot. One thing to always look for when buying Belleek, the porcelain should be fine, and you can almost see through it in when held to the light, (as in the photo here). You should be able to pick up a slight shadow of a hand when held behind the piece. Note the light shining through on the catch-all.